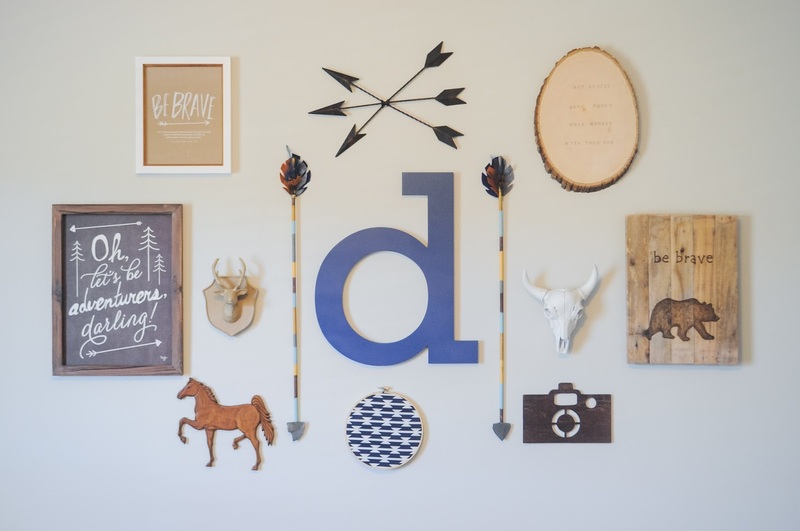 I'm excited to share Dax's new gallery wall with you. I'm slowly but surely making this house our home. 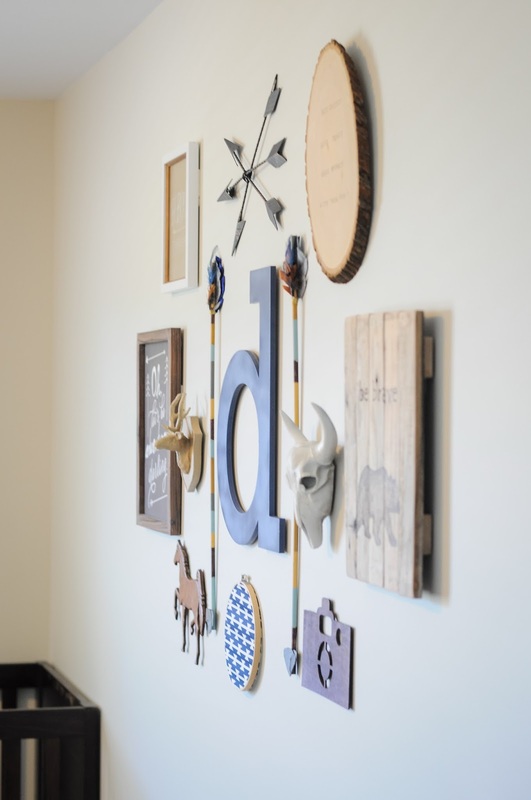 I talked a little about how sad I was that I couldn't just put the pieces back together in Dax's room in the new space, here. I had all the art I needed and couldn't wait to get the room painted and get some art on the walls. If I needed more motivation, I got it when my sister-in-law gifted me a beautiful handmade piece of art for Dax's new digs. You guys. My sister-in-law is so talented! 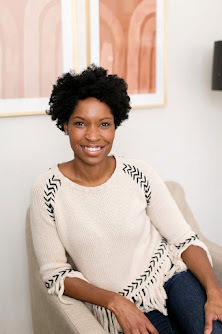 She's the same one I've mentioned for designing beautiful printables for most of the kids' parties (the latest being their Mermaid and Shark party). 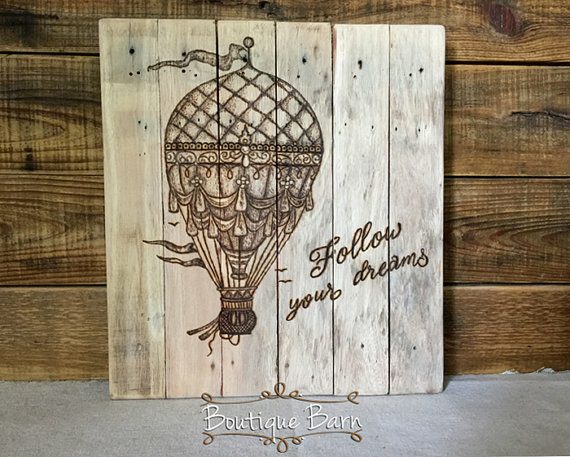 She recently opened an etsy shop called Boutique Barn and it is chock-full of gorgeous rustic home decor. These are handmade treasures but at affordable prices. 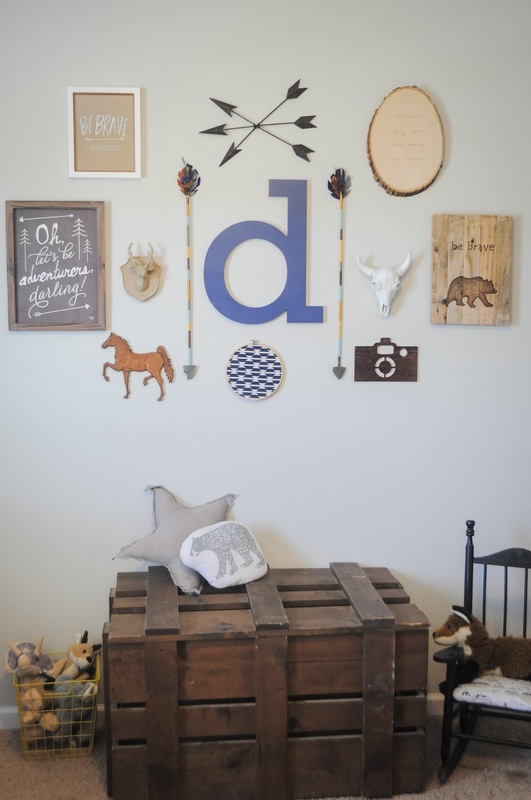 But I'll let the images (and Dax's improved gallery wall!) speak for themselves. Don't forget to check out the special offer at the end of the post! So amazing right?! And here's the rest of Dax's gallery wall. Now for the special offer. 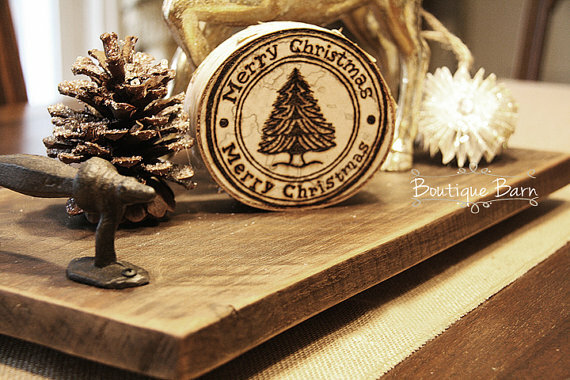 With a purchase of $40 or more, you can get 10% off plus a FREE handmade ornament (above)! 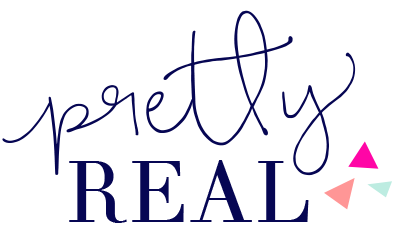 Use coupon code PRETTYREAL. 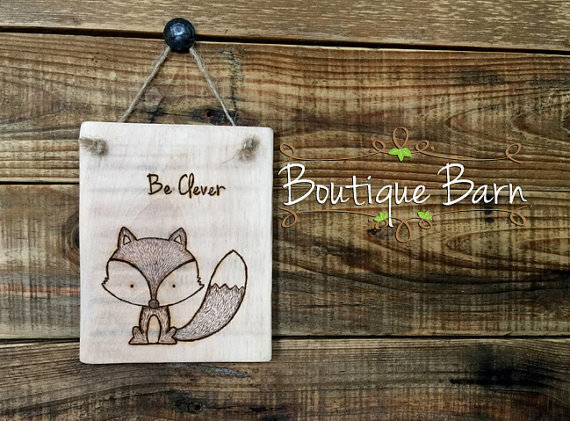 Boutique Barn items make great gifts and beautiful kid/nursery decor. 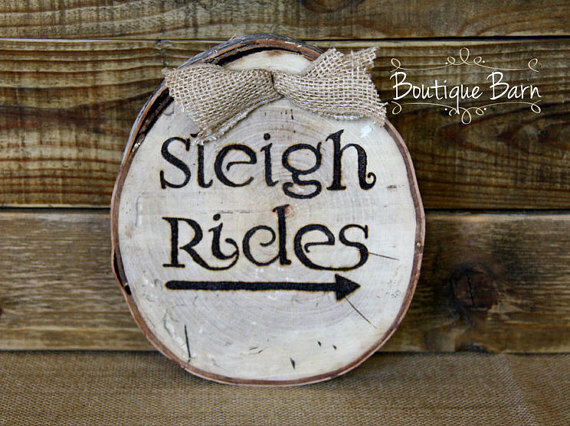 There are many seasonal items (Christmas/fall/winter) to choose from and lots of birch wood (which I'm obsessed with!). Check it out and take advantage of this great deal! Hurry- offer expires 11/30/16. 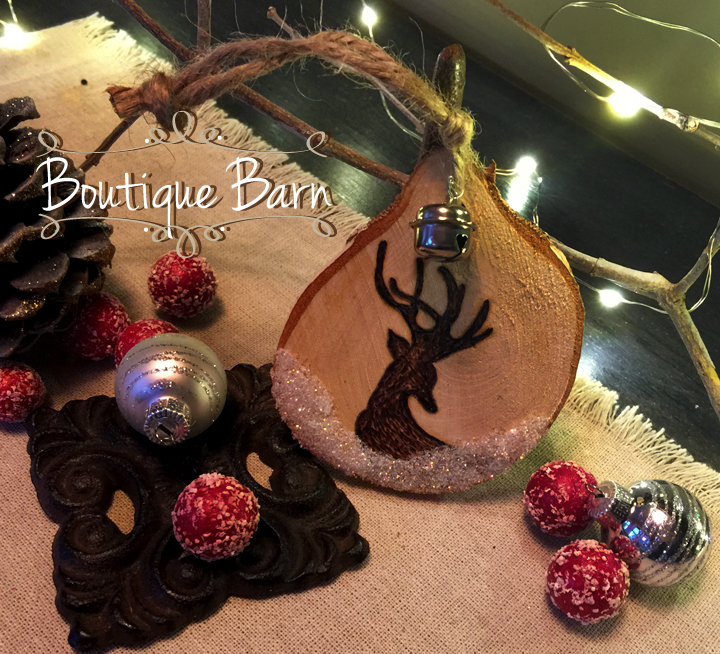 Visit Boutique Barn and tell me which item you love. Share in the comments below! 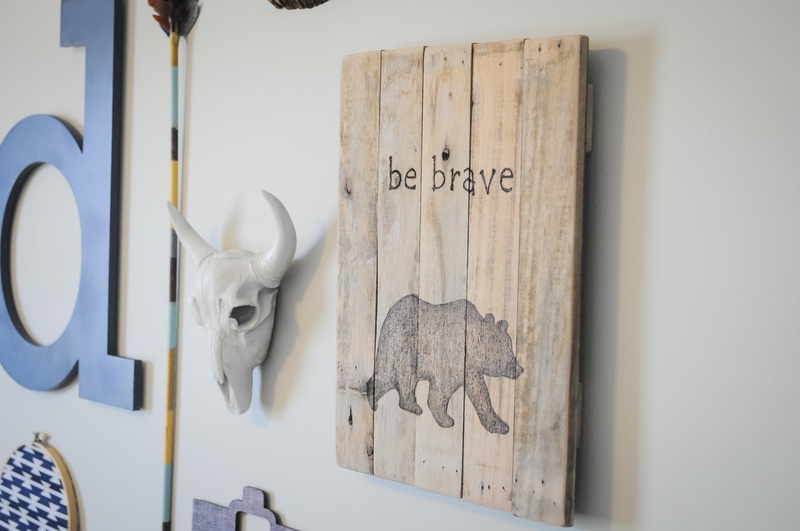 Be Brave Pallet Art: Boutique Barn. Darling framed art, resin skull (spray painted. 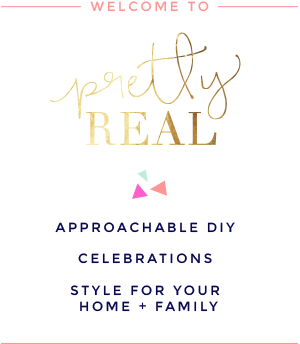 similar), arrows (similar), paper mache deer bust (here or here).- all from Hobby Lobby. Be Brave Print: Lindsay Letters. Horse: vintage. But this one would be very cool stained or painted! Camera: Michael's (I stained it). You could attach one like this to the wall with command strips. It would look great stained or natural. Fabric Hoop: fabric from here. Embroidery hoop here. Wood slice: here. Stamps (similar). (DIY). What a neat store. Very beautiful, and very well put together. You all, did an awesome job. oh my gosh!! 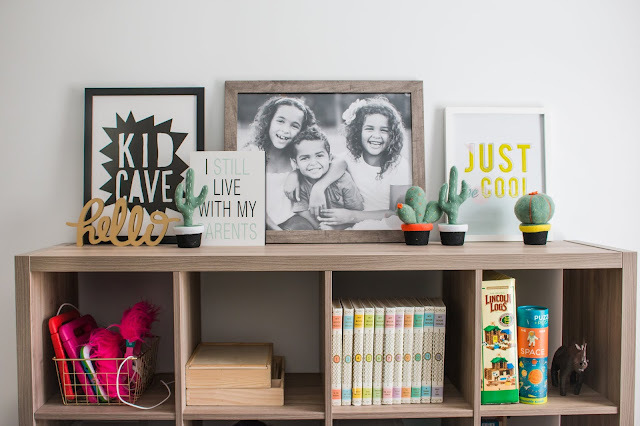 his gallery wall is seriously so cute! you have such a vision for these things! I am love with your new gallery wall. What a way to make a statement in a room. Your sister-in-law is seriously talented! I love the new gallery wall!